Dorego, Ronnie J., 36, of Frederick Street, Rumford, died peacefully on December 3, 2018 surrounded by his loving family. Born in Providence, a son of Paul A. and Michele (Unsworth) Maynard of Rumford, he was a lifelong resident of Rumford. 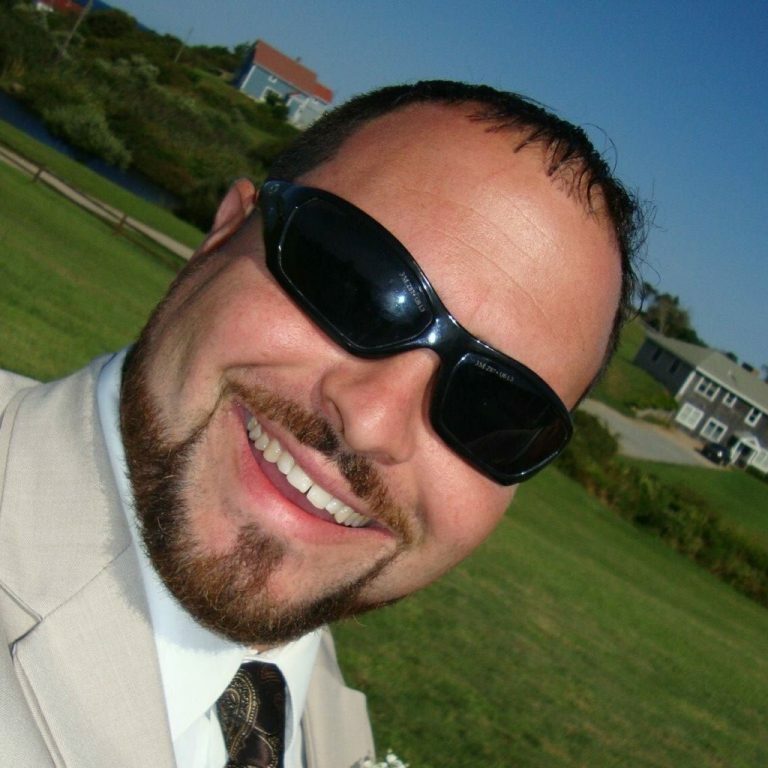 Mr. Dorego was a Decaler for New England Truck Solutions, North Smithfield for 18 years. Ronnie enjoyed fishing, camping and playing pool. Besides his parents, he is survived by two sons, Ronnie Unsworth of Warwick and Ethan Unsworth of Attleboro; two brothers, Corey J. Unsworth of Pawtucket and Paul A. Maynard Jr. of Warwick; a sister, Alexandra Maynard of Pawtucket and several aunts, uncles, cousins, nieces and nephews. Calling hours will be held on Friday December 7, 2018 in the W. RAYMOND WATSON FUNERAL HOME, 350 Willett Avenue, Riverside from 4-8 p.m. Flowers are respectfully omitted. Contributions in Ronnie’s memory to Bikers Against Child Abuse, R.I Chapter, P.O. Box 17152, Smithfield, R.I 02917 would be deeply appreciated. My deepest condolences to Ronnie Sr. & the entire family. May God Bless you all with peace & comfort during this most difficult time. Rest In Peace Ronnie Jr.
We are all so sorry for your loss RJ and family. You are all in the thoughts and prayers of your Hoxsie community. To those who are left behind when we lose a loved one, my most deepest condolences to the Family and friends of such a beautiful soul. May you Rest In Peace Ronnie, and May God give all who loved you the Strength and Comfort only He can Give. A beautiful soul is never forgotten. What a pleasure it was to know you. I’m terribly sorry to hear this tragic news. My condolences go out to the Dorego family and the family at New England Truck. My sincere condolences on the loss of your son. Keeping you in my thoughts and prayers. May he Rest In Peace. To Paul, Shelly and Family, Our deepest condolences and may the lord keep his arms around you and give you strength during this difficult time. I am so sorry to hear about Ronnie. Shelly, Paul and Corey if there is anything I can do please let me know. My heart is with you and love to you all. I am so sorry for your loss. My heart goes out to you and the entire family. We are deeply sorry about the passing of your beloved Ronnie. May his smile, laughter and treasured memories dwell in your hearts forever. Have so many great memories of Ronnie. He was definitely one of a kind. He was a great person, friend and dad, he loved his children immensely. Prayers for his family. He will be missed. Rest in peace Ronnie. I am beyond myself with this one! Anyone who grew up in Rumford around our time was a friend of Ronnie’s. He was an all around great father and friend that will be dearly missed! My deepest condolences go out to Shelly, RJ, and Ethan. May you guys find some peace in knowing how many lives were positively touched by Ronnie! Love Always. A truly terrible loss, the world has without a doubt has become a lesser place without him. Knowing Ronnie the last 18 years was a pleasure and he certainly made a work day more fun, and he will be missed by so many people. His laugh, sense of humor, and of course the fact that he loved the “Polar Plunge” made him special and unique to say the least. My deepest condolences go to RJ, Ethan, Shelly, Paul, Corey and his entire family, who will all be in my prayers now and always. I am so sorry for this family’s loss. He was huge part of my childhood. He will be missed by many. I worked with Ronnie @ NE Truck for all 18 years of his career here, and had so many great times with him. I’m deeply saddened by this loss and can’t even imagine what those closer to him are going through. We will miss his laugh, sense of humor, and of course hearing about his “Polar Plunges”. If there is anything you ever need that I can assist with don’t hesitate to ask. God bless him, RJ, Ethan, and your entire family and you will all be in my Prayers. I am so sorry for your loss. My condolences to your family. Ronnie will be missed. I will keep you all in my prayers.